It's quite unusual to have an open house for a new train line. In Singapore, we have such a thing. Last year, SMRT which is Singapore's largest rail operator, organised an open house for the opening of the Circle Line Stage 4 and 5. 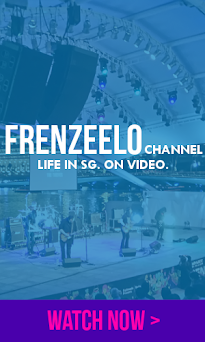 Circle Line is Singapore's newest MRT line and to celebrate the launch of the new line, an open house filled with interim events, parties, performances and free train rides happened on 2 October 2011. It also happened in 2009, 2010 and 2012 for the different stages of the Circle Line. You may have noticed that on the title you see 'Stage 4 and 5'. 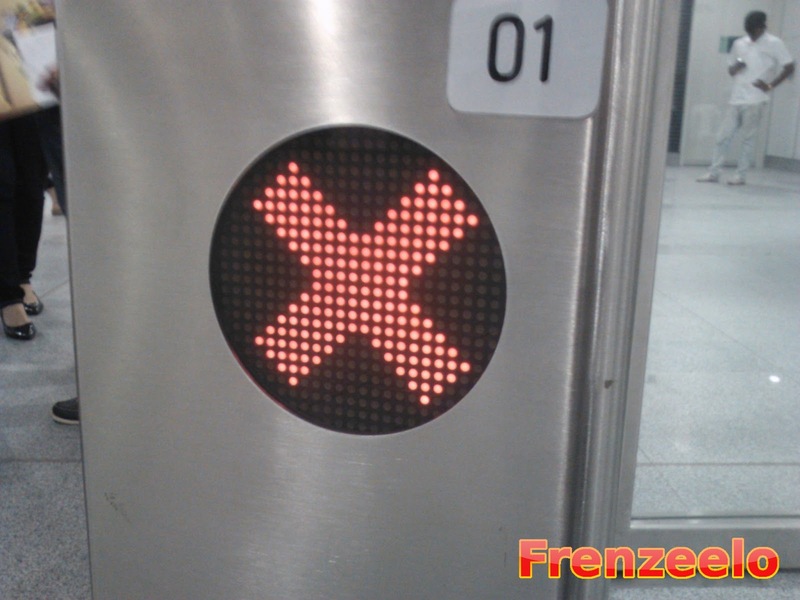 In Singapore, the Circle Line open in stages. 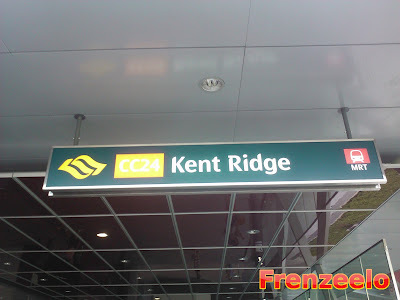 The first stage of the Circle Line was Stage 3 which was from Bartley MRT Station to Marymount MRT Station and it opened in 28 May 2009. 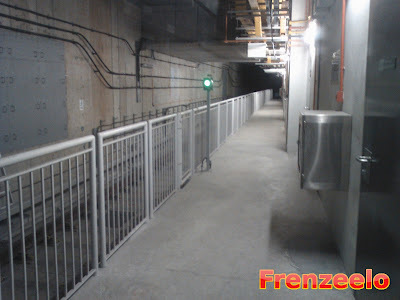 Stage 1 and 2 was opened in 17 April 2010 from Dhoby Ghaut MRT Station to Tai Seng MRT Station. Stage 4 and 5 was opened in 8 October 2011 from Caldecott MRT Station to HarbourFront MRT Station. 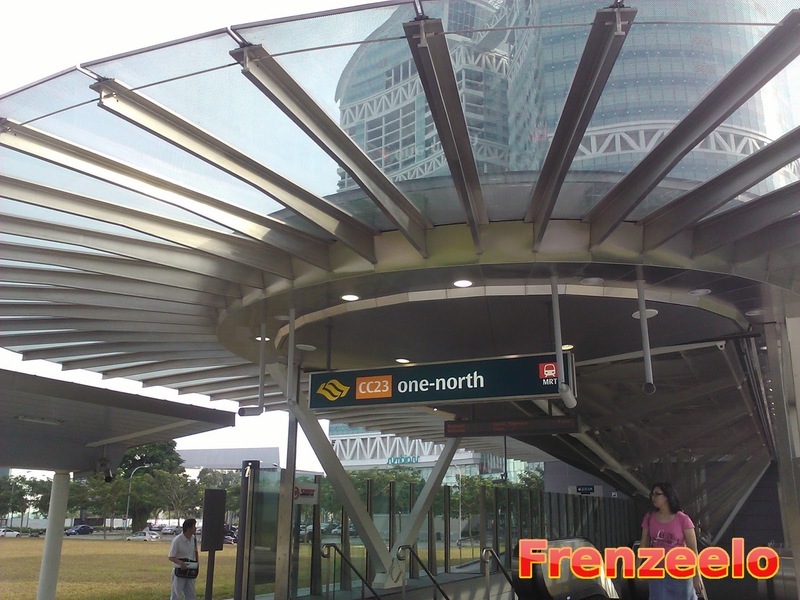 And last but not least, the final stage, known as the Circle Line Extension was opened on 14 January 2012 from Bayfront MRT Station to Marina Bay MRT Station. Try saying all that in one breath. Sure, you may be thinking what's the purpose of opening the new line with events. 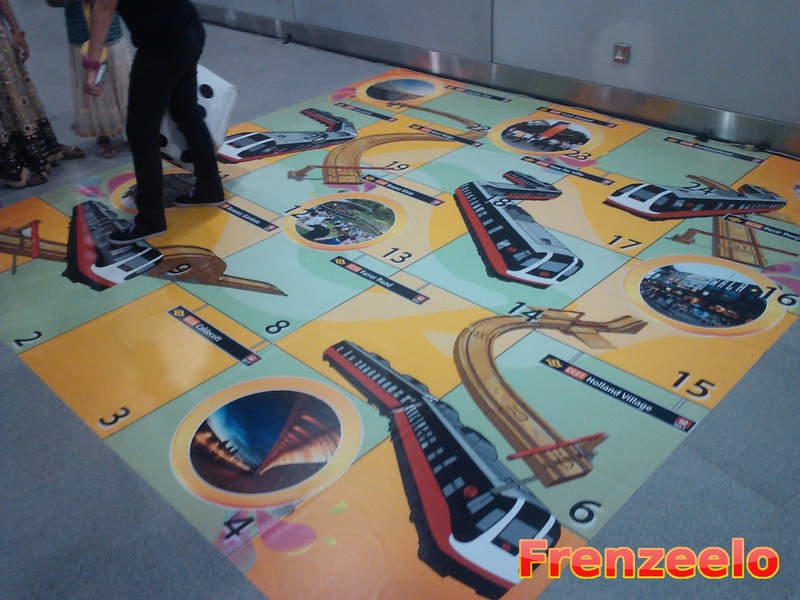 SMRT wants to create awareness and wants people to know more about the attractions found around the Circle Line stations. People will then take the new Circle Line MRT to get to these places and it will mean more money for SMRT. Smart right? Yeah, anyway today I'm going to show you around the new stations so take it as a virtual tour if you missed it. 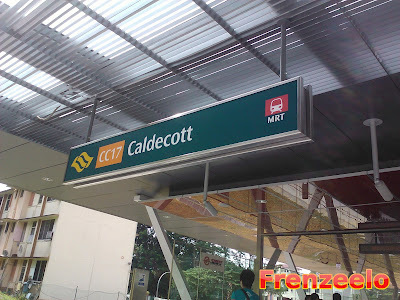 The first open house station was at Caldecott MRT Station. From the terminating station which was Marymount Station to Caldecott Station, I had to take a shuttle bus since there isn't a direct bus service to Caldecott. 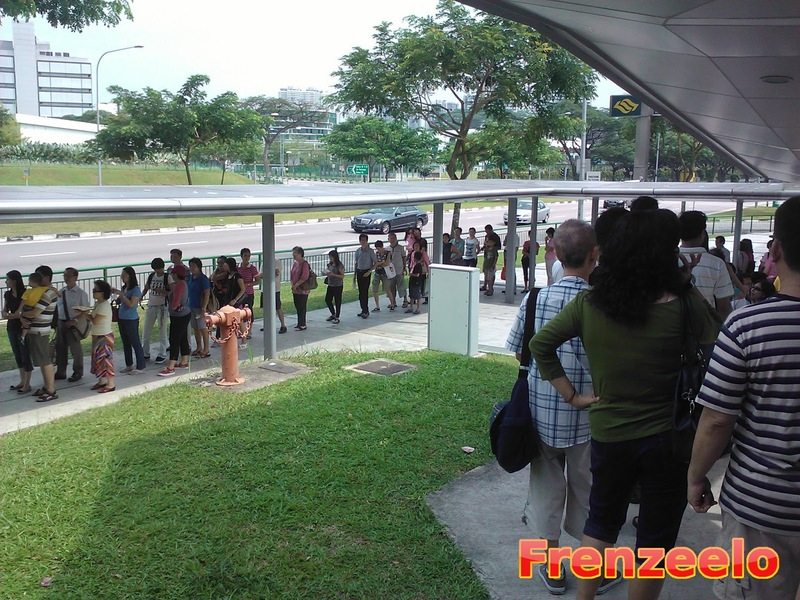 As you can see, the queue for the shuttle bus was quite long and there were a lot of people. 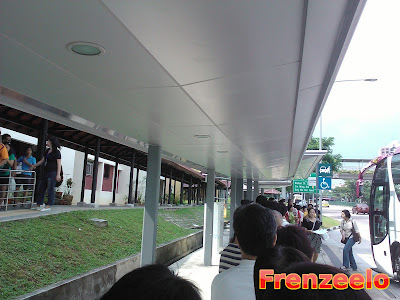 The line got shorter quickly and there were enough shuttle buses to ferry the visitors to Caldecott. Oddly enough, the shuttle buses used were operated by private bus companies. If you don't know, SMRT also operates buses and its odd that they don't use their own buses for the Circle Line open house shuttle. Maybe because their buses were used for other purposes? I don't know but it got the job done. 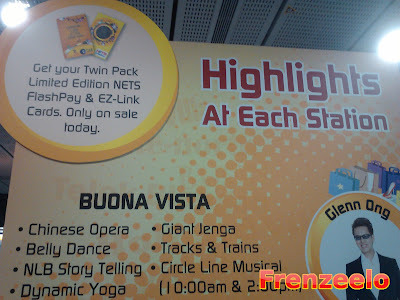 After arriving Caldecott MRT Station, all the visitors entered the station and look what we have here. A group of dancers dancing to Beyonce's song. They were very enthusiastic especially this guy with the short and white pants. So I took a short video of them dancing and when the train arrived, I took it and proceed on to the next station which was the Botanic Gardens MRT Station. Do note that the train rides were free but only restricted to the new stations during the open house. 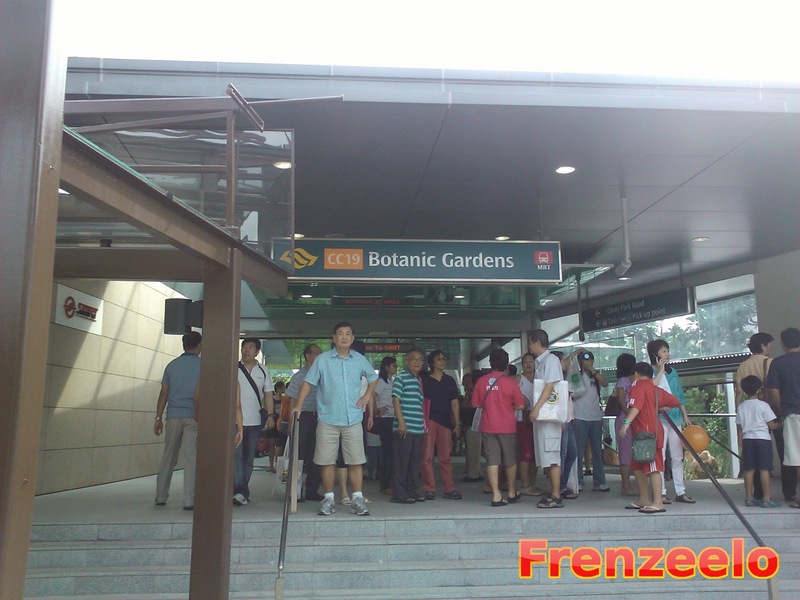 This is the Botanic Gardens MRT Station and look at that massive fountain. Okay, maybe it's not a water fountain. 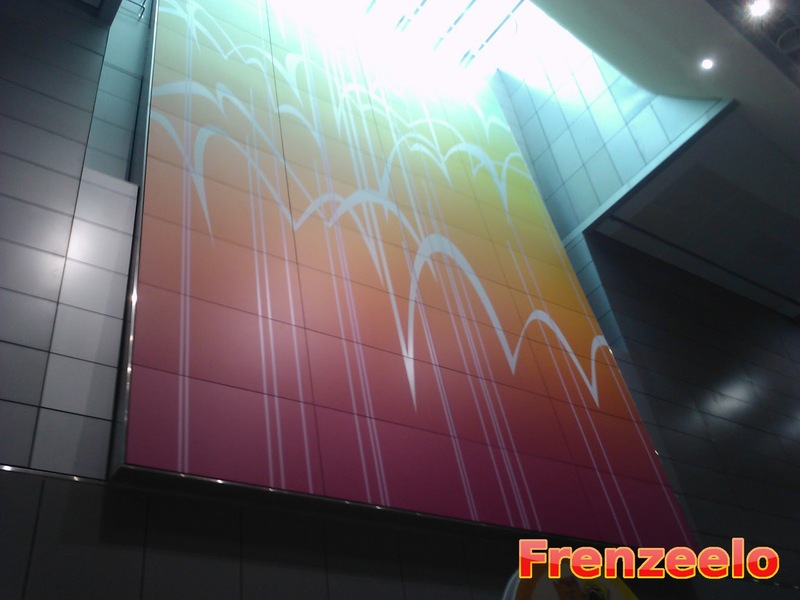 It's sort of like a giant waterfall in an MRT STATION!!! 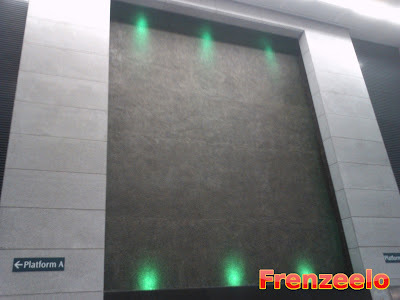 You don't see this kind of installations in any MRT Station in Singapore. This station has got to be the first MRT Station to feature a man made waterfall on the interior. Apart from that, this station is located right outside the Singapore Botanic Gardens. 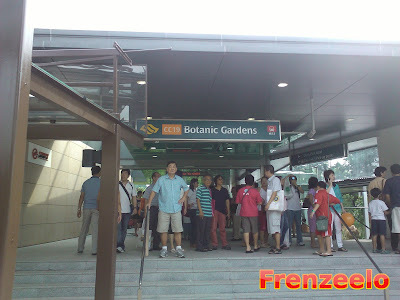 It's basically a botanic garden located in Singapore. Finally they made an MRT station. Getting there was so difficult and now with the new station, more visitors can look forward to coming here often. Oh and I like the artwork which totally represents the botanic garden. Here's some more pictures of the station. 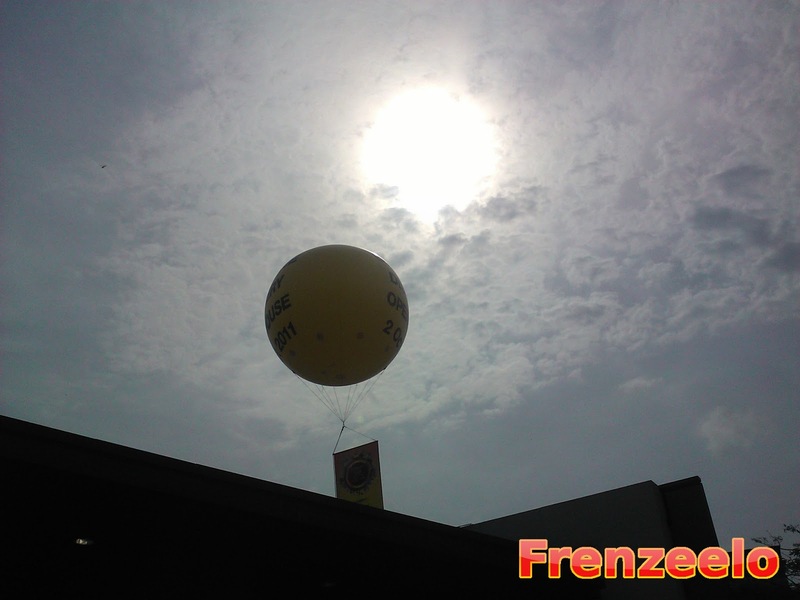 There was this huge balloon advertising the open house at the Botanic Gardens Station and lots of people were exploring around the station. 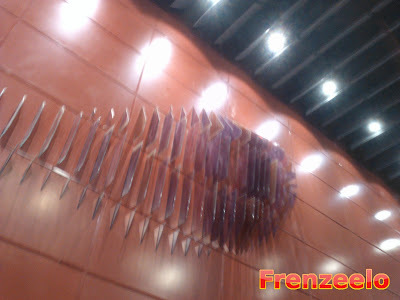 There was even a balloon sculpting station located inside the station's concourse area. 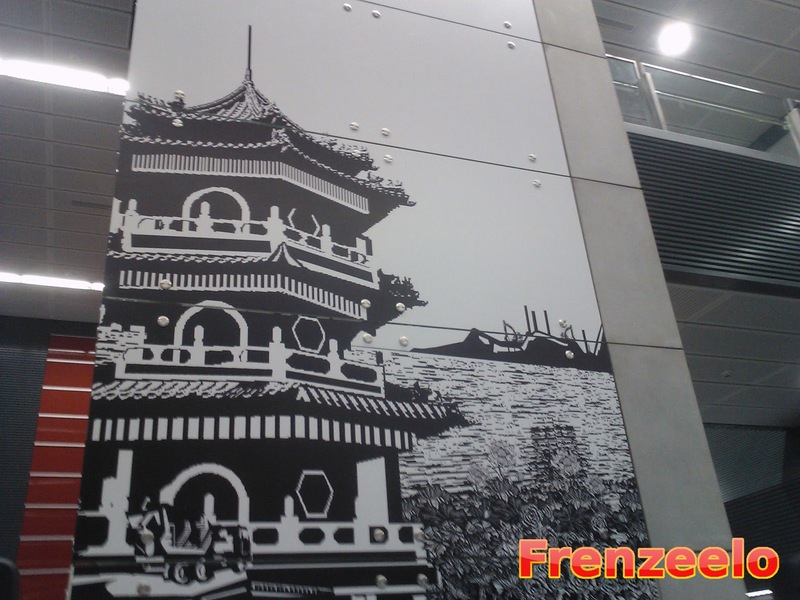 Then there's artwork found at one of the MRT stations. I can't remember which station was this found but still, it's great and artistic. Looks like brush strokes. This is something you don't get to do often. 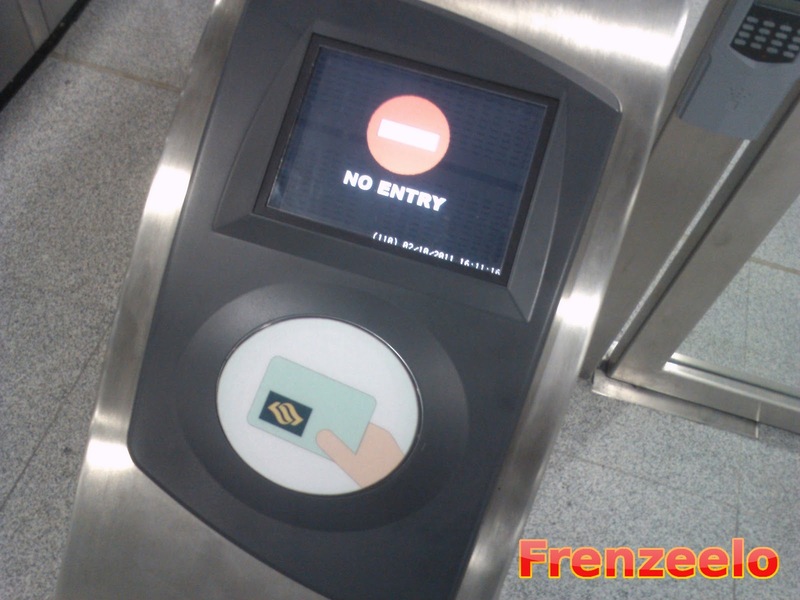 You can take pictures of the fare gates! Seriously, if you were to try to do that at a regular MRT station, it's either people will be angry at you for blocking the way OR the station staff will accuse you for disturbing the 'security' of the station. So with this open house, I took several pictures of the gate and I even posed in a picture while standing in the middle of the gate. At Holland Village Station, there was this drums performance performed by a local drums group. Many people were crowding around the band and the performers were very enthusiastic about their performance including the spectators just like the one at Caldecott Station. Plus, there was also this advertisement that caught my attention at the station's train platform. 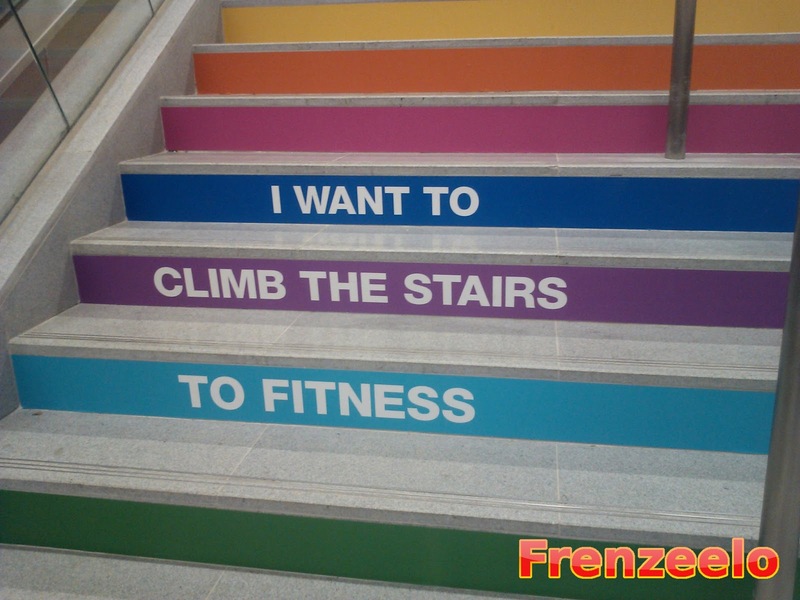 The staircase, which is like the most unused station feature ever, was beautifully decorated with bright colours encouraging passengers to use the stairs to get up to the concourse area. Meanwhile at Buona Vista MRT Station, there were also more events happening. The firsd one was this Snake and Ladder game which combined elements of the Circle Line, the second was this magic show with the emcee being Glenn Ong (DJ for a Singapore radio show. Can't remember which show or radio station) and the third was this book borrowing corner provided by the National Library Board. Not that interesting (except for the magic show, that was interesting) compared to the other stations but still, it got the attention of a lot of visitors. After going through all the stations from Caldecott to Buona Vista, I decided to take a break and head out for a while. You see the picture above? 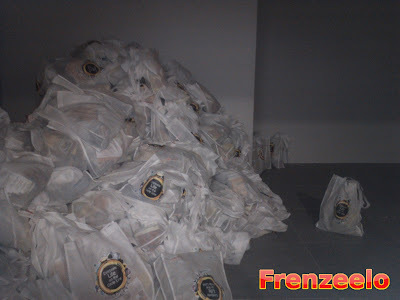 Those were goodie bags dumped inside an unused Ticket Office. I didn't came early so I didn't get the goodie bag which I have been wanting to get at the open house itself. 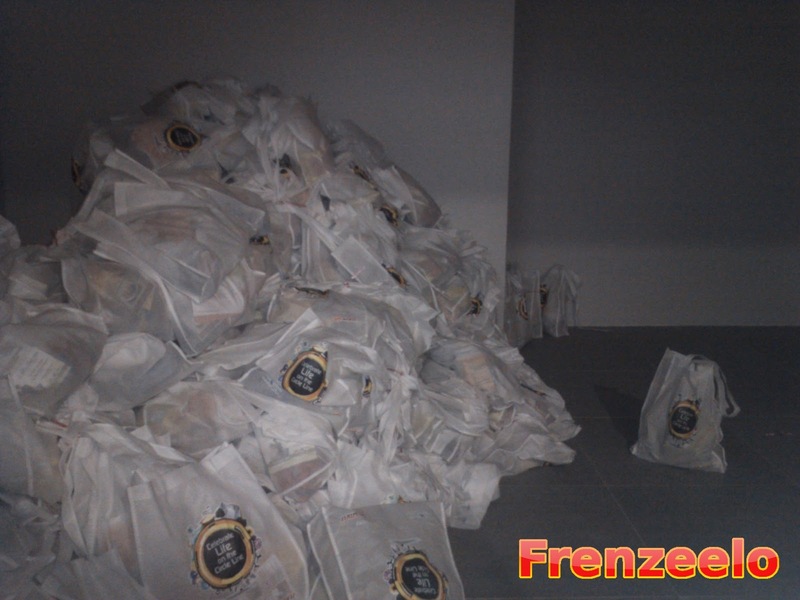 And there, you see that the goodie bags were stored behind a Ticketing Counter. Maybe it's for their staff? I don't know but I felt disappointed that I didn't get a goodie bag for myself. After all, I got a goodie bag during past open houses and in 2012. After resting, I continued the open house tours. 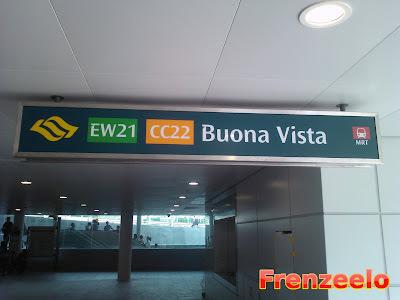 Right after Buona Vista, it was one-north MRT Station. Notice that there's no capitalisation in the name? It's meant to be like that and it looks like this station is like the only station without any capitalisation. This station was built for the conveniece for those working at the research facilities around this area. The research facilities include the Biopolis, Fusionopolis and the upcoming Mediapolis. 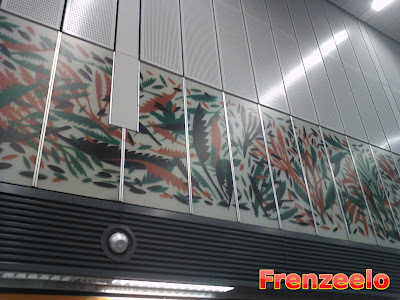 I particularly like the artwork in this station as seen from above. Here's a peek at the MRT train tunnel. You're not allowed to take a photo of the tunnel. I took the photo of the tunnel because it's during open house. You're free to take as much pictures as you can in the station during an open house. 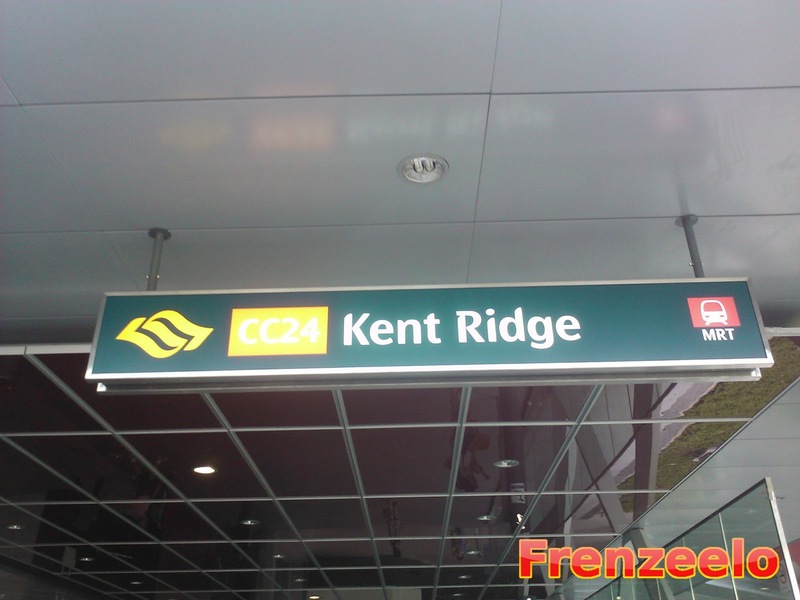 Right over at Kent Ridge Station, the station that's closest to NUH (National University Hospital) and NUS (National University of Singapore). It's convenient for students, patients and hospital visitors. 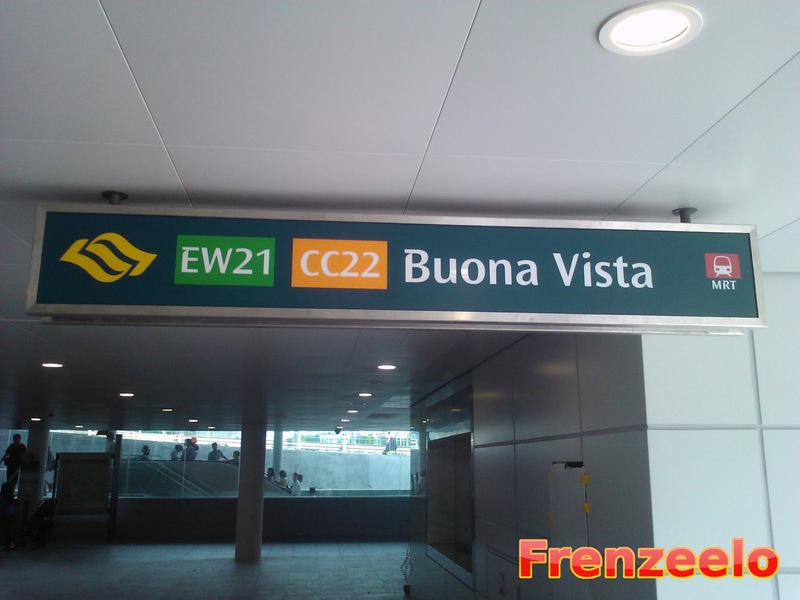 Before the MRT was built, it was hard to get here as the nearest bus stop was far away and there was a shuttle bus which already ceased operations, ferried passengers to Dover Station on the East West Line. An interesting feature about this station is the artwork. 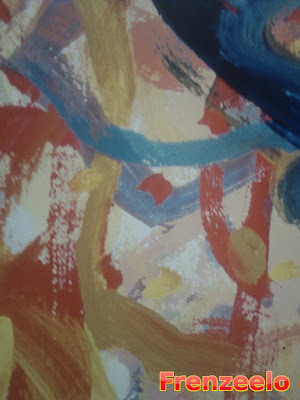 Unlike regular station artworks, this is interactive. There's this TV screen in which you can send a text to the number provided and it automatically turns it into a poem. The text you send can be any text but no expletives though or you might get caught. 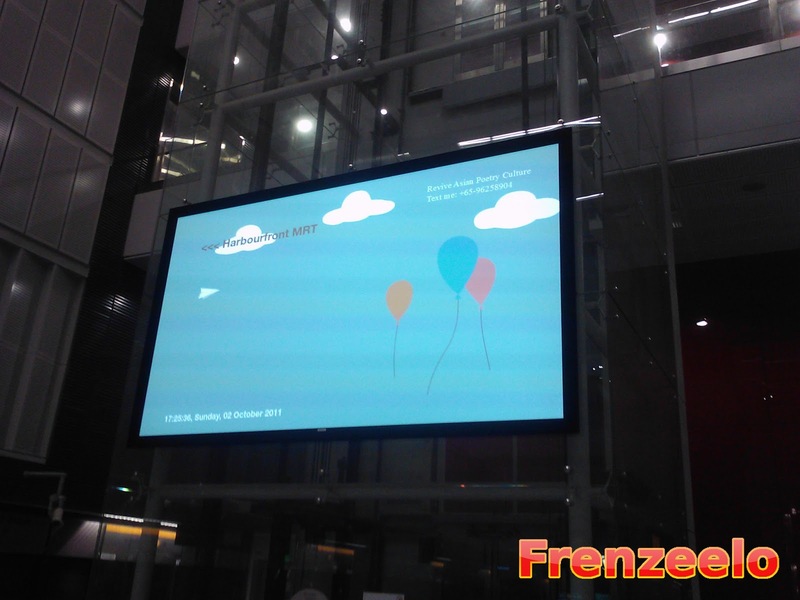 Recently, they decided to switch off the screen to maybe save electricity. So, unfortunately, you can't send texts anymore to the TV unless they decide to switch it back on again. Next station was Haw Par Villa Station. Haw Par Villa is actually a theme park in the theme of Chinese legends and folklore which was opened by brothers, Aw Boon Haw and Aw Boon Par. 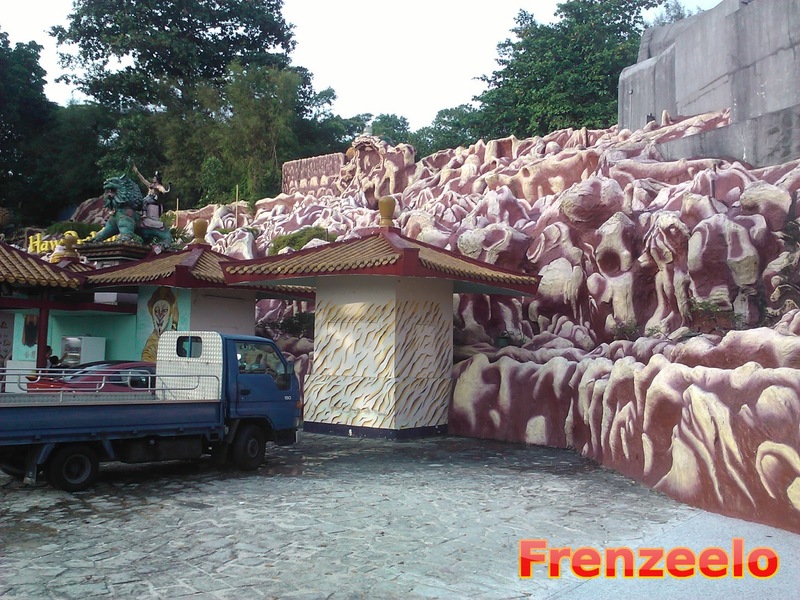 Before Haw Par Villa, it was known as the Tiger Balm Gardens and started charging admission just like a regular theme park. Business soon fell and they started granting free access to the park. The theme park itself was already built so long ago then in 2011, an MRT station was opened to the public which will bring in more visitors to the park just like it used to back then. Try going there if you don't mind the strange sculptures and exhibits. Other places nearby include West Coast Park which is a beach park located in the western part of Singapore. 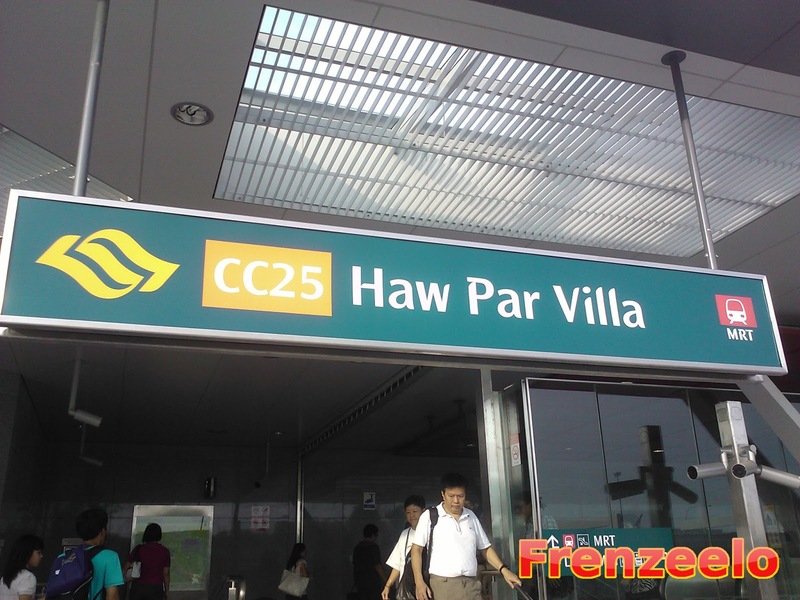 After Haw Par Villa Station, it's Pasir Panjang Station. Nothing particularly interesting here but there's a popular hawker centre which is just right outside the station bringing you wide selection of delicious and affordable food. The artwork in this station is actually a fictional movie poster about Lieutenant Adnan. 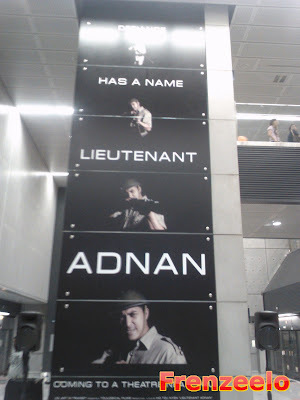 Lieutenant Adnan was a Malay fighter during World War 2 and if you want to know more, Google it! There's an interesting fact about this brave fighter. After Pasir Panjang Station, I did not have enough time to check out the rest of the stations during the open house which include Labrador Park and Telok Blangah Stations. After the Pasir Panjang Station, I took the free trains all the way to HarbourFront Station just in time before closing. While taking the escalator to exit the station, look what I found! A sculpture made to look like a three dimensional fish. How creative and awesome is that? The open house then officially closed after I got out of HarbourFront Station. The Open House was great and it was held on 2 October 2011 while revenue service commenced on the 8th. 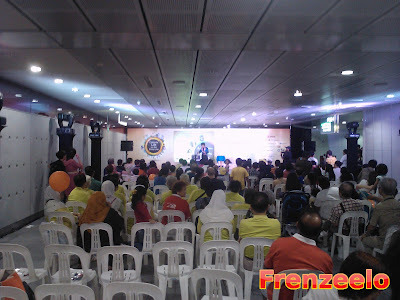 Overall, the Circle Line Discovery Open House was great as there were plenty of performances and events to commemorate the opening of the new line which will bring convenience to everyone living around the stations. 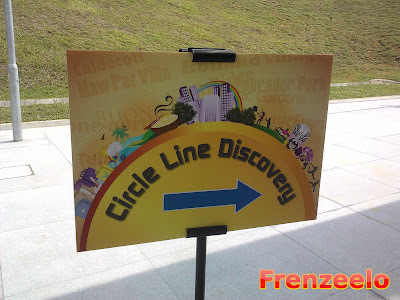 Unfortunately, there are no more Circle Line open houses anymore since all stations on the line opened for business already. Next year, there will be the opening of the Downtown Line Stage 1 although I'm not so sure if there will be an open house as it depends on the train operator itself. 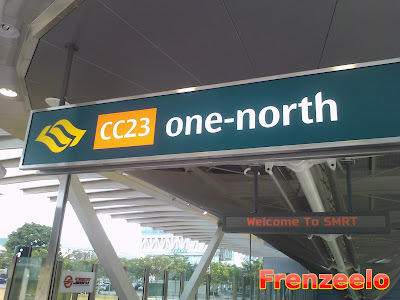 Still, if you live near any of the Circle Line stations, you'll be glad to know that most of the stations are conveniently located to your favourite places and that you'll be connected to various places around Singapore. • الهواء الراكد من اكثر المسببات للرواح الكريهه فى المكان ومن اكثر الاشياء التى يحتاج الى تجددها فمن افضل الطرق هو القيام بفتح الشبابيك المتواجده فى المكان والقيام بفتح الشفاط الكهربائى وتغير الهواء المتواكد فى المكان ، او القيام بزيوت عطرية ووضعها فى بخاخات والقيام برش على الارضيات والكنب والاماكن التى بيها روائح كريهه .